For most skating centers, the highest source of revenue is birthday parties. Snacks and gaming are also great ways to boost skating profits. But in the end, it’s all about the experience of roller-skating. Is your skating center up to par? Ask yourself these questions. Is my venue clean? Nobody wants to spend time at a dirty facility (or worse, send their kids to one). Make sure you don’t just clean regularly, but also deep-clean those stubborn stains that have been there since your grandparents owned the rink. Does the layout make sense? Many skating facilities are family-owned, so the operators are already used to the weirdly curving wall through the middle of the snack area, or the roundabout hike to the skate rentals counter. Take an objective look at the layout and see if a simple renovation is in order. Do I have great gear? In the end, faded carpets and an outdated design can be overlooked if your customers have fun. It’s all about the skating! You keep your Pro Shop stocked with the latest and greatest skates available, but when was the last time you replaced your skate rentals? Assess your stock for comfort, quality, and safety. If the skates been there since you took over the rink, it’s time to replace them. 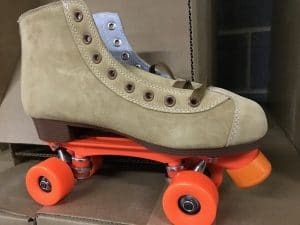 To buy wholesale roller-skates for your skating center, contact Southeastern Skate Supply.